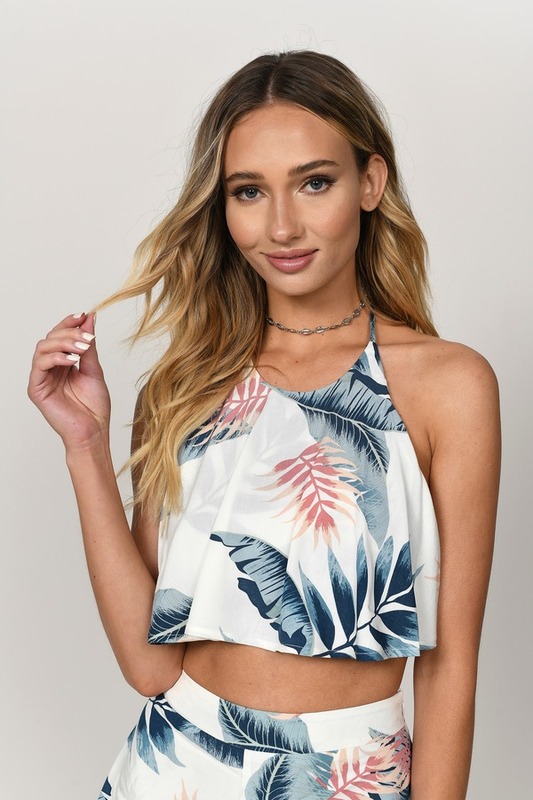 Check out Tobi's Into You Palm Leaf Print Crop Top You'll be very into the Into You Palm Leaf Print Crop Top. Featuring a palm print and halter neckline. Pair this top with the matching bottoms or distressed denim shorts. You'll be very into the Into You Palm Leaf Print Crop Top. Featuring a palm print and halter neckline. Pair this top with the matching bottoms or distressed denim shorts.